Click on the title of the visit option for more detailed information, including dates and times. *If you are a high school guidance or college counselor, please check out Counselor Visits. A note about Class Visits: If you would like your visit to include a class, please plan your visit for a Monday, Wednesday or Friday when the course selection is optimal. Ideal for high school juniors and seniors who have not yet applied to K.
Open Houses provide a general overview of the many opportunities available at K.
Open Houses occur three times in the fall and twice in the spring. For admitted students and their parents only! Visit the Zoo is designed to help you make your final college choice. Students experience life at K through a variety of presentations and activities. Parents will participate in many of the same presentations, and may ask questions of College personnel and parents of current students. Visit the Zoo programs begin in February! A Visit the Zoo program with a special emphasis on Fine Arts. Meet faculty members, attend a class, spend the night on campus, tour the campus and interact with other prospective students and current students who are focusing on the fine arts. Opportunities to meet with a cappella groups, music groups and Monkapult, our own improv team. Attend a performance of Student Body, our main stage production for winter term. “Why We Create” community reflection presentation by our students from a variety of disciplines. Designed for high school seniors from under-represented backgrounds who have applied and been admitted to the College. Ideal for those interested in visiting campus to learn more about diversity and inclusion at Kalamazoo College. Intercultural Fly-In program takes place in conjunction with a select Visit the Zoo program in April. We welcome high schools or community organizations interested in visiting Kalamazoo College. Group visits usually include an information session and campus tour. Add lunch with current students for just $5 per person. Group visits are scheduled on selected weekdays during the academic year and are scheduled on a first come, first served basis. 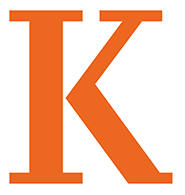 Learn about Kalamazoo College from anywhere in the world!